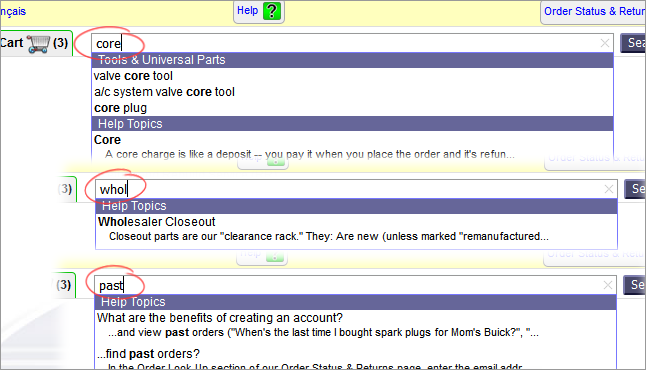 Forums » Shop Talk » RockAuto...Part & FAQ Search Made Easy! The unique RockAuto Catalog makes it easy to see all the parts we have for your vehicle. Search boxes are available as well to help scroll to your specific vehicle, identify which category a part is listed under or do a Part Number Search. Cool! I rarely think about going to a local parts store anymore. It's RockAuto first!